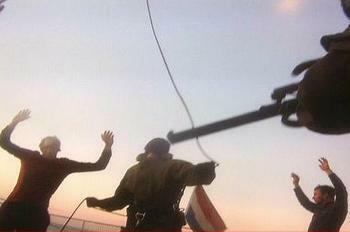 AMSTERDAM, The Netherlands, October 22, 2013 (ENS) – The Netherlands has requested arbitration by the International Tribunal for the Law of the Sea in a dispute with Russia over the arrest and detention of the Greenpeace vessel Arctic Sunrise and its crew by Russian authorities. 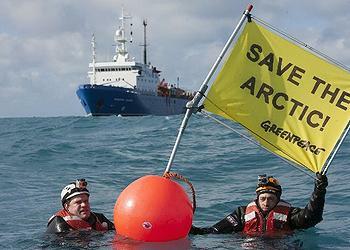 The Arctic Sunrise, which flies the flag of the Netherlands, is an icebreaker operated by Greenpeace International. In a submission to the tribunal Monday, the Kingdom of the Netherlands claims that the arrest and detention of the ship and its crew in September took place in violation of the UN Convention on the Law of the Sea. Even before formal arbitration takes place, The Netherlands asks that the tribunal direct Russia to release the Arctic Sunrise and its crew and allow them to leave Russian territory. On September 18 the vessel was used by Greenpeace International to stage a protest against the offshore ice-resistant fixed oil drilling platform Prirazlomnaya in the Barents Sea. According to the Netherlands, the Arctic Sunrise was boarded by coastguard officials on September 19, brought to the port of Murmansk and detained. Morocco, the Netherlands, New Zealand, Poland, Russia, Sweden, Switzerland, Turkey, Ukraine, the United Kingdom and the United States, were arrested and detained in Murmansk and judicial proceedings have been initiated against them. 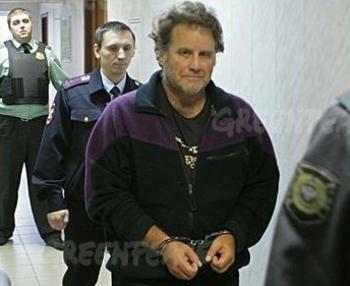 The “Arctic 30” as Greenpeace has dubbed them, are being held in prison on charges of piracy and have been refused bail. 4. Ensure that no other action is taken which might aggravate or extend the dispute. On October 4 The Netherlands instituted arbitral proceedings against Russia under Annex VII of the UN Convention on the Law of the Sea. The convention provides for compulsory third-party settlement of disputes concerning the interpretation or application of the convention. Pending the formation of an arbitral tribunal, the circumstances of a particular dispute may require the adoption of interim measures. In such a situation, any party to the dispute may request the International Tribunal for the Law of the Sea to prescribe provisional measures. The tribunal may prescribe provisional measures if it considers that an arbitral tribunal would have jurisdiction and that the urgency of the situation requires such measures. The tribunal may prescribe any measure which it considers appropriate under the circumstances to preserve the rights of the parties to the dispute or to prevent serious harm to the marine environment. Dates for oral proceedings will be set shortly. Gazprom plans to start production from the Prirazlomnaya platform in the first quarter of 2014, which Greenpeace says raises the risk of an oil spill in an area that contains three nature reserves protected by Russian law. Gazprom has signed a deal with Royal Dutch Shell to exploit Russia’s Arctic shelf. Although joint Shell-Gazprom drilling operations are still several years away, the partnership will expose Shell’s investors to the risks associated with Russia’s chaotic oil industry, says Greenpeace. Exploitation of Arctic oil will raise the risk of climate change and any spill in the region would be impossible to remediate, Greenpeace warns. In August Russian authorities denied the Arctic Sunrise permission to enter the Northern Sea Route to protest Arctic oil drilling. The ship entered the area regardless, because, said Greenpeace, the ship meets all required standards for ice class vessels. The Russian coast guard then boarded the ship and ordered its captain to leave the area under the threat of preventative fire, leading the Dutch government to demand an explanation. The Arctic Sunrise left that immediate area but continued to protest oil drilling in Russian Arctic waters.